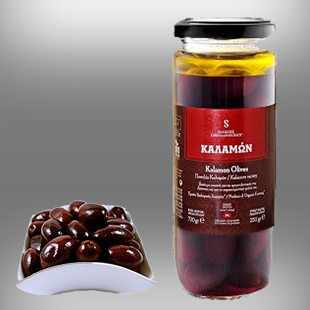 The organic natural Kalamata olives with low salt, constitute one of the prime bio functional olive products of Sakellaropoulos organic farms, because it combines the pure, natural taste of olives from the traditional processing methods used for the production of organic table olives with the addition of very little salt. The organic Kalamata table olives with very little salt are hand-picked exclusively from our organic olive groves at the precise period of ripeness of the olives, where they are rigorously selected; the olives then undergo a 9 month natural fermentation process, without chemicals or additives and with complete scientific inspection throughout the whole process. A significant factor in taste and quality of our organic Kalamata olives is the fact that they are not pasteurized. The production of our organic Kalamata table olives is made with minimal salt throughout the whole fermentation process and also in the final packaging of the olives, with cold extracted olive oil, from our production, so as to retain their mild bitter and fruity flavor along with the high organoleptic properties of the natural organic Kalamata olives. Our organic Kalamata olives are rich in anti-oxidants, vitamins, tocopherols and other polyphenols, because throughout the whole production process which takes many months, only traditional and natural methods of processing are used for the olives. 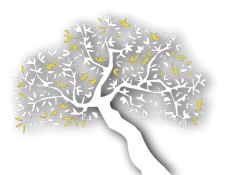 Thus, the organic, natural Kalamata olives with very little salt retain all their health beneficial properties, for which they have been awarded many times as well as for their taste for which our organic table olives are continuously awarded at international taste and quality competitions for olives. Their prime distinction is the continuous awards they receive at the Great Taste Awards in London, where they have been awarded with gold stars numerous times.